Noodles & chicken from Mountain House is a popular choice for all types of people. 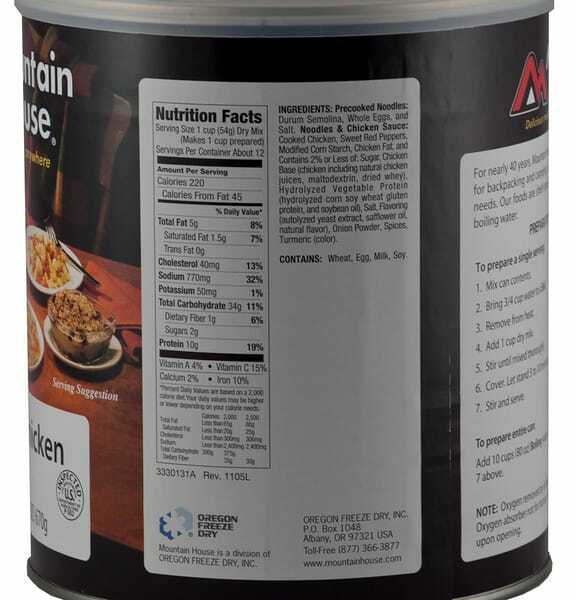 The 25 year shelf life makes it perfect for emergency food storage systems. 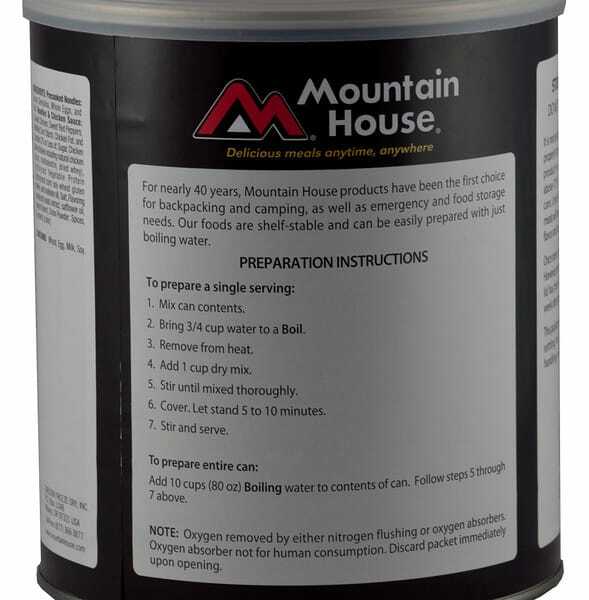 In addition, the easy preparation makes it ideal for taking with you camping, hiking or anywhere else that doesn't have normal cooking utilities around. Just add in hot water and wait about 10 minutes and it is ready to enjoy. Some people even buy this item so they can cook it at home when they don’t feel like making a big meal. 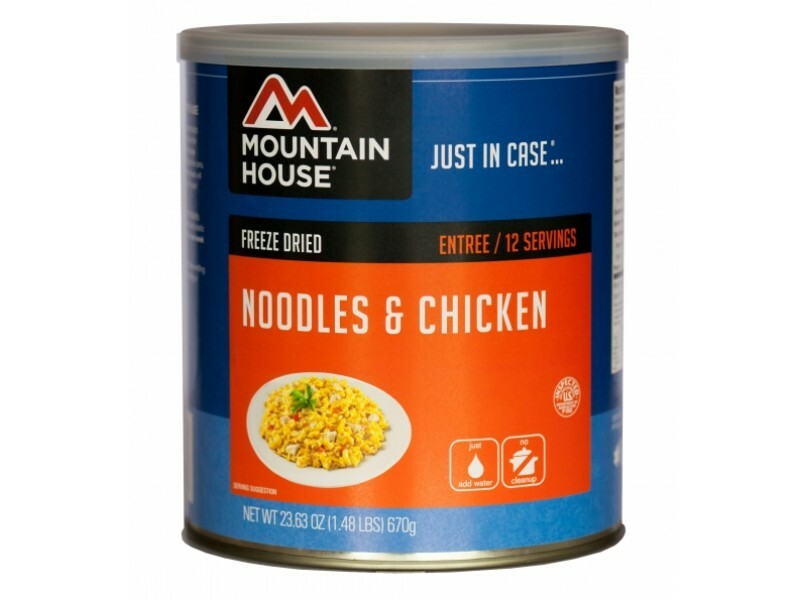 Whatever you plan on using it for, you’ll love this great tasting noodles & chicken from Mountain House. This noodles and chicken is made with a rich, creamy sauce that virtually everyone will love. It is smothered over the chicken and pasta to make for a great tasting meal, or even to be used as a side dish. 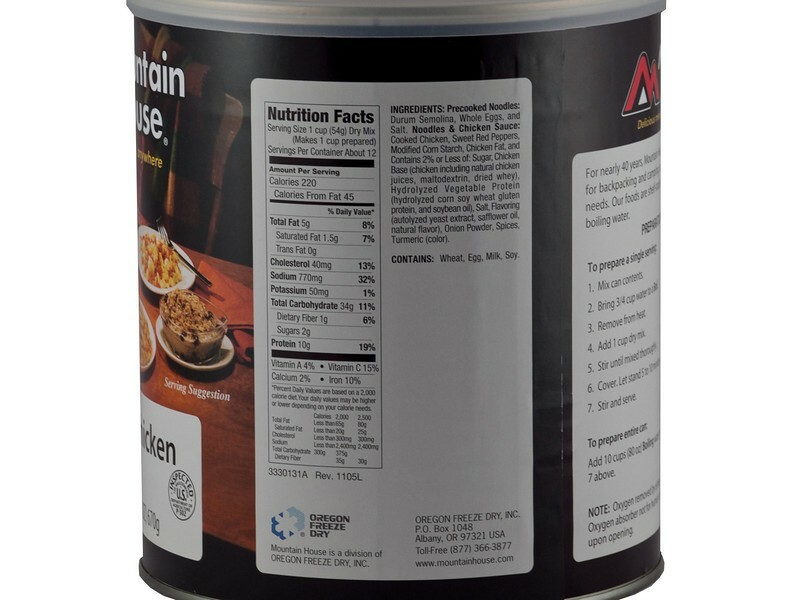 Each #10 size can holds 12 full 1 cup servings, so you can make multiple meals out of it. Simply take out as much as you need, add in the recommended amount of hot water and wait about 10 minutes for it to heat up. It is really one of the simplest ways to cook a great tasting meal. 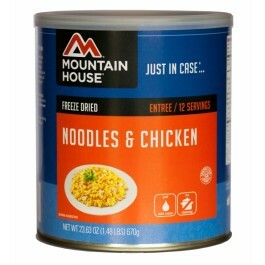 Of course, most people use this noodles and chicken for emergency food stockpiles. It is ideal for this use because of the fact that it will last for 25+ years on the shelf without a problem. You can stack up multiple of these #10 size cans in any area, and forget about them until they are needed. 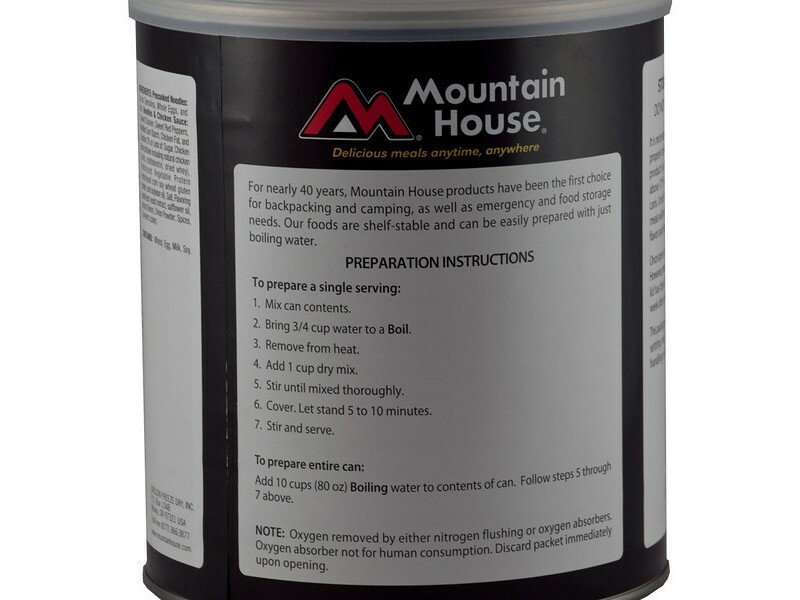 In the event of a weather emergency or any other type of disaster, you can pull them out and have the high quality food you need to get through the situation. Stock up on yours today. One can contains 12 1 cup servings.